Aaj Ki Party Video Song | Bajrangi Bhaijaan: Mika once again shines in Salman’s Eid number. Salman Khan’s Eid release is incomplete without an Eid number and it seems like Kabir Khan is well aware of that. Well, the deadly combo of Mika Singh and Salman Khan is back with the Eid song of the season. If it was Jumme Ki Raat last year, this time Bhai is all ready to celebrate Eid with a party. Yes, Bhai is inviting you to the Eid party in a new song from Bajrangi Bhaijaan. Iss Baar Ki Party Bhai Ki Taraf Se – these are the lyrics of the Eid song from Bajrangi Bhaijaan. Mika Singh did it again with his magical voice. 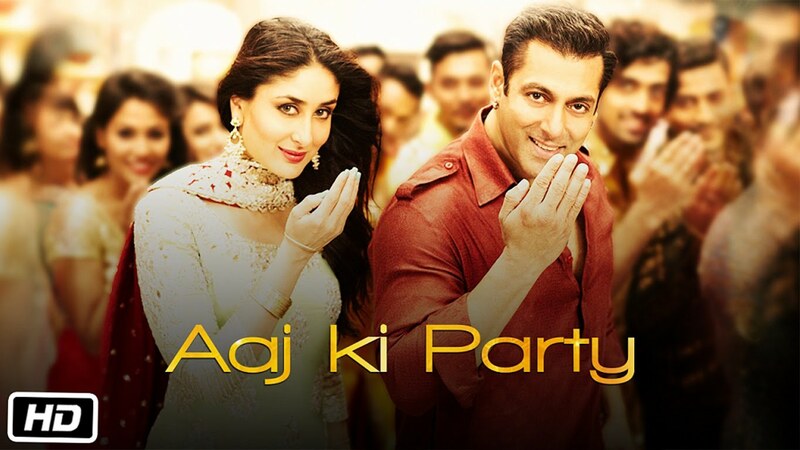 Music by Pritam is foot tapping and set the tone for an entertaining party number. Lyrics are catchy and simple while choreography is superb. Salman Khan carries the song flawlessly in his own style well complemented by Kareena Kapoor Khan. Overall, Aaj Ki Party is a typical Salman Khan number which will be liked by his fans. Expect it to be topping the chartbusters list in coming days.